In the early 1990s a small group of artists had been meeting regularly for figure sessions in the Georgetown (Seattle) studios of William E. Elston and Christel Kratohvil. This group included Paul Havas, Tom Tanaka, Peter Malarkey, Michael Parry and Terry Vineyard. After the figure sessions the artists would retire to Elliott Bay Cafe, in the basement of the venerable old Pioneer Square bookstore. Over coffee they would discuss art, artists, whatever they were reading at the time, and whatever scandal and gossip might be current. The idea had come up of starting a group, a formal organization that had as its mission the furtherance of figurative and Realist aesthetic goals in late 20th Century America. These artists had come to their current positions via very different routes: Paul Havas had begun as a late generation Abstract Expessionist, having studied at the Brooklyn Museum School in the 1960s. 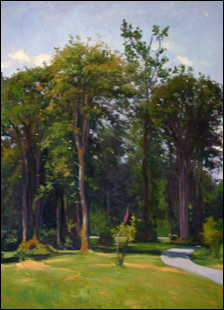 William Elston had been doing painting en plein air and figure work since the early 1970s. Peter Malarkey had studied at Cecil / Graves Academy in Florence, and Tom Tanaka at the Art Students' League. The younger artists in the group had bucked contemporary tradition at Beloit and Cooper Union. They wondered what other fellow travelers there were out there, and decided to send out a call. When William Elston lived in New York in the mid to late 1970s, he had attended meetings of the Alliance of Figurative Artists of New York. This group had a long history, and met in the old Educational Alliance at 197 E Broadway, in TriBeCa. The meetings were lively and boisterous, sometimes involving beer and fisticuffs. It was a far from benign group, being made up of several sometimes warring factions. Its origins were the informal gatherings at the old 10th Street Bar, and in various artists' lofts. Some of the artist participants during its years of operation were Alice Neel, Philip Pearlstein, Rackstraw Downes, Paul Georges, Gabriel Laderman, Howard Kalish and many others. The Alliance was also spiritually aligned with the Artist Co-op movement that blossomed in Soho. The Artists Choice Museum grew out of the Figurative Alliance, and many of the luminaries of the figurative renaissance had participated in lectures and symposia sponsored by the group. Many of these educational events were recorded, and now reside in the Archives of American Art at the Smithsonian. Throughout the history of the arts there have been professional organizations created by and for artists. Some of these have been informal, such as the plein air retreats and colonies of the late 19th Century, e.g. Skagen, Cos Cob and Barbizon. There have been small groups of artists that gathered for the purpose of self-critique and to pool efforts at exhibition and promotion, the Ten, the Eight, the Group of Seven, etc. There are also more formal organizations that grow, evolve and accrue professional traditions over time; the guilds, the academies, the ateliers. Organizations like the Alliance of Figurative Artists of New York or the Salon des Refusés occupy a middle ground; not quite officially recognized, nor a casual gathering of friends. Sometimes it seems as if these latter groups primarily provide a means for artists to decide upon which field they are going to stage their battle, often with each other. Unbeknownst to the painters that were meeting at Elliott Bay Cafe, there was a second group that had coalesced around yet another regular figure painting session. This group met in the studio of Gary Faigin, who had recently moved to Seattle with his wife to found the Academy of Realist Art, later called Gage Academy. This group had already disbanded before the Elliott Bay group had become aware of their existence. They were included in the initial invitation to formally meet. That invitation went out to many artists, and 40+ attended the first meeting at the studios of Christel Kratohvil and William Elston. The Northwest Figurative Artists' Alliance had been born. Like its New York counterpart, the Northwest Figurative Artists' Alliance had a 'bring work' night. Held regularly, these were meetings where members brought works in progress intended for group critique. Also like the New York Alliance, the NFAA sponsored symposia and lectures. These included a lecture on regional art of the thirties and forties by David Martin, co-owner with Dominic Zambito of Martin-Zambito Fine Art and a specialist in the painters of the American Scene. David had brought slides of regional artists like Anne Kutka McKosh, Vanessa Helder and Robert Engard, artists that most of the group had never heard of. What was even more exciting was the guest that David had brought: Yvonne Twining Humber, a painter who had recently celebrated her 80th birthday. She recalled the days of the National Academy of Design when Paul Cadmus was a student, and the WPA in Boston, where she had worked with Jack Levine. David soon became an honorary member of the group, and a principal source of information about the Northwest figurative painters that had come before. Yvonne attended the Alliance picnics. Other events included a panel discussion on art and photography at the University of Washington. Participants included the Portland OR painter Henk Pander, Gary Faigin, Lucy Wilner and the late Michael Fajans. The Northwest Figurative Artists' Alliance set up a tour and lecture in Spokane that featured Professor Scott Patnode, speaking about the extensive print collection at what is now the Jundt Art Museum at Gonzaga University. Some of the other artists that attended meetings were; Cynthia Krieble, from Central Washington University at Ellensburg; Cappy Thompson, the glass painter; Aaron Burgess; Kent Lovelace and June Stratton, of Stone Press; the painters Kurt Solmssen and Rebecca Schofield; Terry Furchgott; David MaGranaghan; Charles W. Palmer of Spokane. The group was joined by a contingent of landscape painters from Wenatchee; Jan Cook Mack, Ron McGaughey and Rod Weagant. Eventually the Northwest Figurative Artists' Alliance accumulated fellow travelers from as far away as Connecticut and Santa Fe, with artists contributing work and words to the NFAA journal. 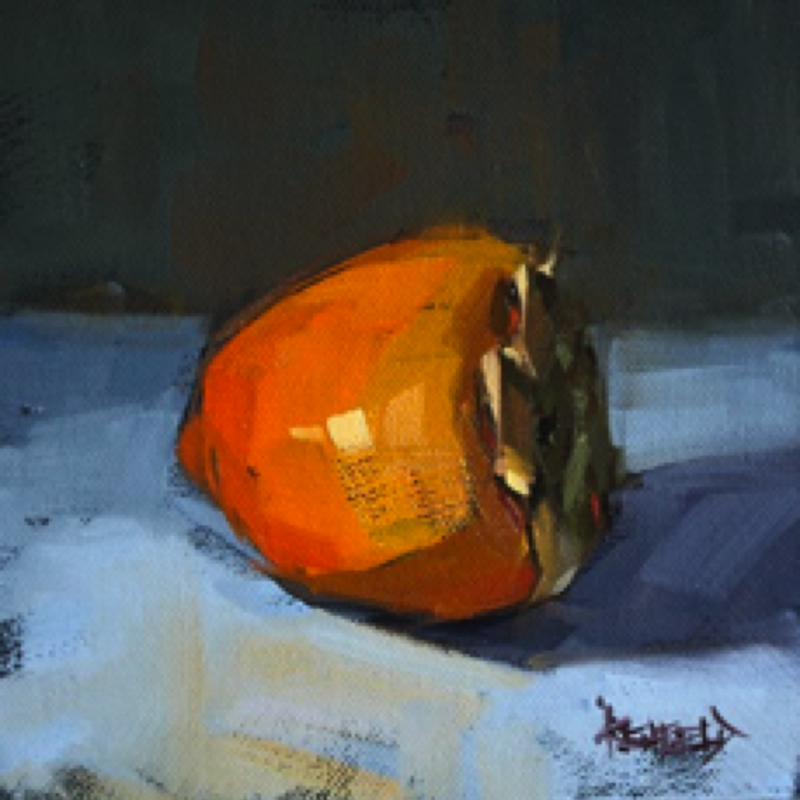 The Northwest Figurative Artists' Alliance Journal was published bi-monthly for a period of several years. It included many pieces of critique and review, as well as its share of invective, baloney and bile. It was published on a Mac by Tom Tanaka, with William Elston as principal editor. It included articles on a broad range of subjects of interest to figurative painters, from Stanley Spencer to the Madrid Realists. One article, a reprint of a letter from the Director of the Washington State Ferries to painter Nathan Arnold, describing why Nathan's painting of a burning ferry was technically inaccurate, was reprinted in Harpers Magazine, with attribution but without permission. At its height the NFAA boasted over 60 artist members, and many more subscribers to the Northwest Figurative Artists' Alliance Journal. The events that the group sponsored addressed crucial issues in our own (and every) era: what is the nature and function of representation? What truth lies in an image? What psychological factors feed the figurative impulse? Of course there are no universally conclusive answers to these questions. Indeed there is no universality to the manner in which the questions themselves are culturally framed. The questions are more usefully contemplated as questions, with all of their potentiality intact and unspent, than for whatever tangential philosophical systems answers may propagate. William Elston, from the website of the original Northwest Figurative Artists' Alliance, wrote "as a group, the one bond that we all share in common is a belief in the efficacy of unmediated experience. In an age that favors experience of the most indirect and fugitive sort, we have discovered that the most fundamental facts of existence can only be apprehended through direct perception; presence, temporality, and being." This remains the mission statement for many of the original artists of the NFAA, and for new generations of artists that have come of age in a new century. We pay our respects to those artists from the original Northwest Figurative Artists' Alliance that have passed; Yvonne Twining Humber, Fire Cruxent, Michael Fajans, Selma Waldman, Paul Havas, Todd Smith, Kent Lovelace. The Northwest Figurative Artists' Alliance was revived in 2010, primarily as a website that featured members' artwork and show announcements. It featured the best of Pacific Northwest figurative art. This website, and the legacy website accessible from the link in the sidebar, serve as an historical commemoration of the organization in both of its incarnations. We still believe that art is best apprehended as an attempt to mediate experience, and that all great and meaningful art is regional. This second iteration of the Northwest Figurative Artists' Alliance is no longer active, having been disbanded in 2018. Many of the artist members still associate in each others' studios and on social networks. Perhaps a younger generation of painters, printers and sculptors will pick up the torch, reignite it's flame and carry the light forward for another stretch.